Are you done your Christmas shopping yet? If not and you need a quick, last minute pick up, I've got just the thing for you. You really can't go wrong with this one! Guylian Belgian Chocolate Truffles, imported directly from Belgium, are the original seashell chocolates known and loved for its luxurious texture and taste. Intricately created from silky, smooth Belgian dark, milk and white chocolates made from 100% pure coca butter, they give indulgence a whole new meaning. I dug in as soon as I received them the other morning! Mmm...they were so rich and creamy and I admit I loved how there was no additional sugar added to some of my chocolate bars. The history and tradition behind Guylian creates for a romantic yet delicious gift! The romance started back in the day when Guy & Liliane joined their names in marriage and in their company name allowing for the development of fine authentic Belgian chocolate. To this day, the chocolate are all still made in Belgium with little copper kettles. Whether you need a small stocking stuffer or a full chocolatey gift, Guylian will have it all. Buy It: Shop online or in stores for an assortment of Guylian Belgian Chocolates. Win It: 1 Whirlwind of Surprises' reader will win a Guylian Artisanal Belgian Original Chocolate Truffles ($14) Box of 22 for themselves!! Come back to enter the giveaway! 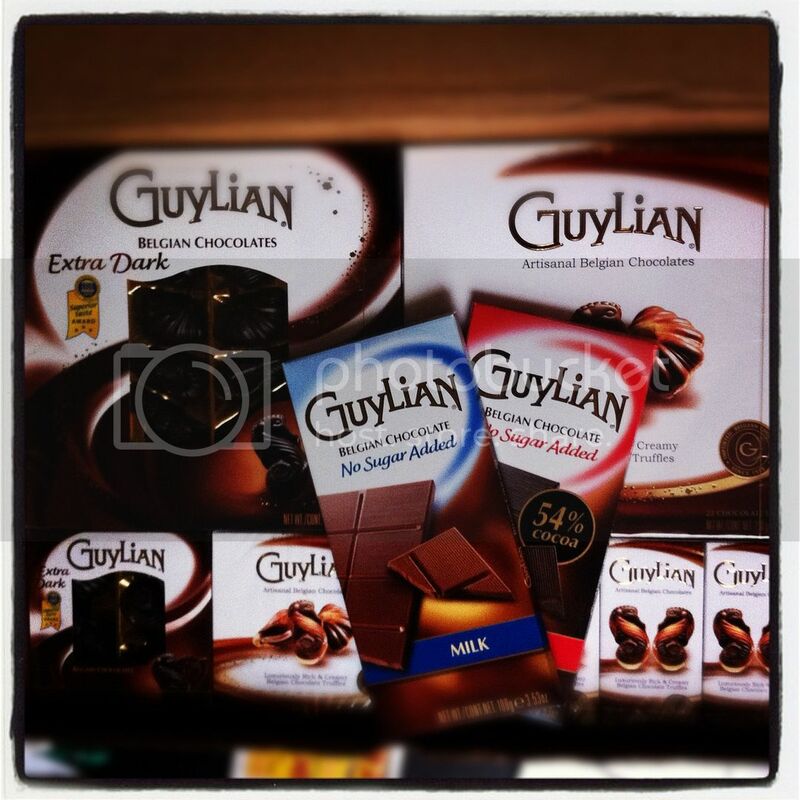 Make it easier on yourself by showing the sponsor some love now: Like Guylian on facebook. Follow @Guylian_Chocs. I want to try these! They look beautiful too! i love waffles then with chocolate Yummy ! They look and sound so yummy. yum!! they looksooo good! i've never had this brand but just your description of how creamy they are makes my mouth water...i'd love to try some! Quality chocolates make such a huge difference! Would love to try these. I learned about these when I lived in England. A priest I worked with gave me a box for Christmas. Yummy!